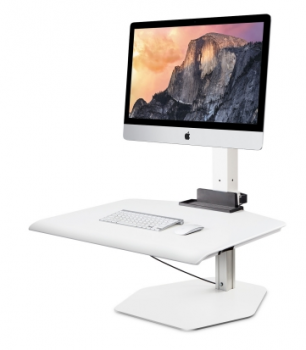 Winston for Apple iMac VESA - a sit-stand workstation designed for iMac users with a VESA-compatible Apple iMac monitor. Locking cylinder provides stability while working. Expansive workspace is large enough to hold all necessary work tools. Now Apple iMac users can join the standing revolution. 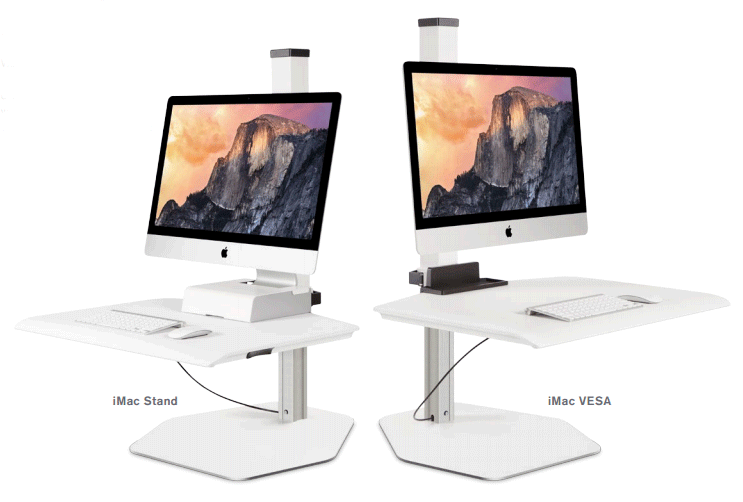 Winston Workstation is now compatible with VESA-compatible Apple iMacs, allowing iMac devotees to take advantage of all the health benefits standing while working offers without sacrificing Apple-specific programs or the user interface that works best for them. Expansive work space: Large surface allows you to bring all necessities with you when you stand. 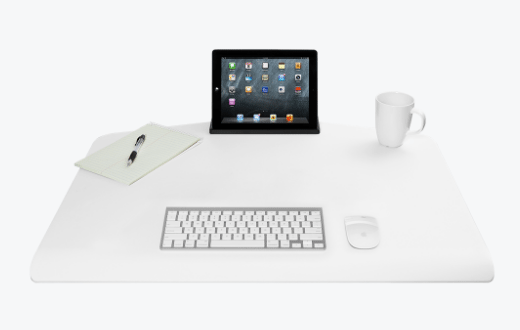 Upgrade your space: Retrofit your existing desk into a healthy workspace. Ethical manufacturing: Winston for Apple iMac is assembled in the USA using components created through a green manufacturing process. 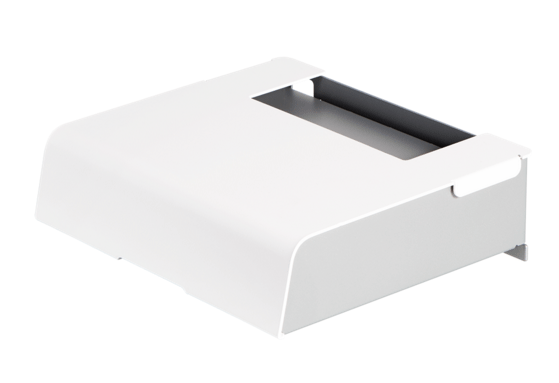 Note: Ensure your iMac has VESA mount; or is ordered with VESA mount when purchased from Apple. For newer iMac see Winston Apple iMac Freestanding Sit-Stand.